Brew | Did you spot us at Foodies Festival? 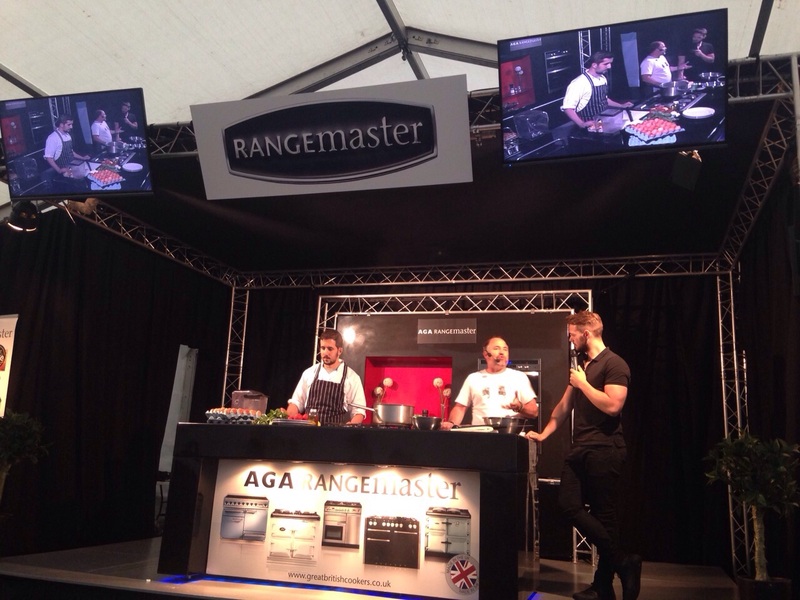 28 Jul Did you spot us at Foodies Festival? This weekend Brew popped up at Clapham Common’s Foodies Festival – although the weather wasn’t quite as we had hoped we managed to brighten things up with our demo of the famous “Brew Melt” – a delicious combination of toasted pide, poached eggs, ham, cheese, tomato and fresh pesto. Jason and Moran took to the Chef’s Theatre and showed the audience how to make this signature Brew dish, including how to make the fresh pesto in it and even how to brine the ham! Our coffee, cakes and biscuits also went down a treat with those looking for a warming pick-me-up! A great time was had by all and Jason and Moran thoroughly enjoyed entertaining the crowds.